Prior to joining Crown Agents, Giovanna began her career in International Life Sciences supply chain operations at DHL Global Forwarding. 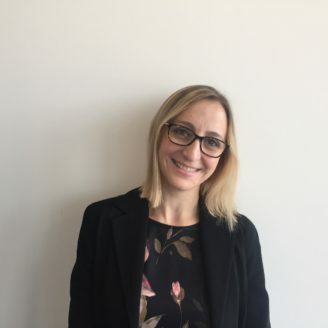 As an experienced procurement and supply chain programme manager Giovanna has delivered both private and public-sector programmes. She’s particularly proud of her work driving the Health Pooled Fund 2 procurement and supply chain programme, which provides the people of South Sudan with quality access to basic health services. An example of Giovanna’s commitment to delivering long term impact through Operational Excellence is Kaduna Solar, Crown Agents’ renewable energy programme that brought solar energy to 34 Health Centres in Kaduna State, Nigeria (CIPS Award as Best 3rd Sector Project 2017). Outside work, Giovanna enjoys spending time with family and friends, experimenting worldwide cooking, shopping, planning holidays and travelling.